Need help deciding if donating bone marrow is right for you? 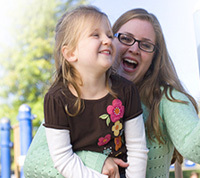 Get answers to frequently asked questions about bone marrow donation and the commitment involved. By learning more about bone marrow donation and the commitment involved, you will be able to decide if donating bone marrow is right for you. Doctors look for a donor who matches their patient's tissue type, specifically their human leukocyte antigen (HLA) tissue type. HLAs are proteins — or markers — found on most cells in your body. Your immune system uses these markers to recognize which cells belong in your body and which do not. The closer the match between the patient's HLA markers and yours, the better for the patient. How likely is it that I will match a patient and go on to donate? On average, about 1 in 430 U.S. Be The Match Registry members will go on to donate bone marrow or peripheral blood stem cells (PBSC) to a patient. Because of the vast variation in tissue types, we can't predict an individual registry member's chance of donating to a patient. If you have a relatively common tissue type, you might be one of many who could match a searching patient. If you have an uncommon tissue type, you may never match a patient, or you might be the only one out of more than 20 million potential donors on the registry who can save a person's life. Every person who joins the registry gives patients more hope of finding the match they need. The most important thing you can do as a registry member is to stay informed and committed so that if you're selected as the best donor, you're ready to move forward. What happens if I match a patient? More testing will be done to see if you are the best possible match for the patient. We may ask for another cheek swab or blood sample or we may be able to use a stored sample. Though almost all patient information is confidential, we can tell you the patient's age, gender and disease. If the patient's doctor selects you as the best donor for the patient, we will schedule an information session so you can learn more about the donation process, risks and side effects. At that time, we can also tell you the type of donation the patient's doctor has requested — either bone marrow or cells collected from the blood, (PBSC) donation. You have the right to change your mind about being a donor at any time. Donating is always voluntary. If you decide you do not want to donate, let us know right away. We will need to continue the search for another donor without dangerous — even life-threatening — delays for the patient. How are bone marrow and peripheral blood stem cell (PBSC) donation different? Donating bone marrow is a surgical procedure done under general or regional anesthesia in a hospital. While a donor receives anesthesia, doctors use needles to withdraw liquid marrow from the back of the pelvic bone. PBSC donation is a non-surgical procedure done in an outpatient clinic. PBSC donors receive daily injections of a drug called filgrastim for five days, to increase the number of blood-forming cells in the bloodstream. Then, through a process called apheresis, a donor's blood is removed through a needle in one arm and passed through a machine that separates out the blood-forming cells. The remaining blood is returned to the donor through the other arm. How will I know if I'm asked to donate bone marrow or PBSC? When you join the registry, you agree to donate by whichever method is needed. The patient's doctor asks for either marrow or PBSC, depending on what is best for the patient. Who pays for the donation process? Donors never pay for donating, and are never paid to donate. All medical costs for the donation procedure are covered by the National Marrow Donor Program® (NMDP), which operates the Be The Match Registry®, or by the patient's medical insurance, as are travel expenses and other non-medical costs. The only costs to the donor might be time taken off from work. How long does donating take? Becoming a donor requires a time commitment. Before you donate, there are several steps to make sure you are the best donor for the patient. These steps include an information session to provide resources to help you make your decision, as well as appointments for additional blood tests and a physical exam. The time needed for the actual donation depends on the donation procedure. The typical time commitment for the donation process is 20-30 hours of your time spread out over a four-to-six-week period. This does not include travel time, which is defined by air travel and staying overnight in a hotel. Nearly 40% of donors will travel during the donation process. Marrow and PBSC donation require about the same total time commitment. What if I have medical complications related to the donation? We have extensive contacts with health care organizations and medical professionals who are experts in bone marrow and blood cell transplants and medical care. We will work with them to help find care for complications related to donation. 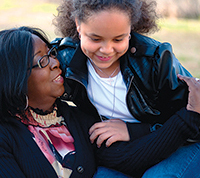 If you are on the Be The Match Registry and you donated through Be The Match, you will be covered by a donor life, disability and medical insurance policy for complications directly related to the donation. What is the bone marrow donation process like? Marrow donation is a surgical procedure that takes place in an operating room. The donation will be scheduled at a hospital that partners with the National Marrow Donor Program (NMDP). In some cases, the hospital may be near your home. In other cases, you may be asked to travel. We will guide you through the process and be available the day of your marrow donation. 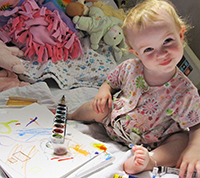 Hospital Stay: You will arrive at the hospital outpatient facility on the day of the donation. You will stay in the hospital usually from early morning to late afternoon, though some hospitals routinely plan for an overnight hospital stay. Anesthesia: You will be given anesthesia to block the pain during the marrow donation. If general anesthesia is used, you will be unconscious during the donation. If you receive regional anesthesia (either spinal or epidural), medication will block sensation in the affected area, but you will remain aware of your surroundings. General anesthesia is used for about 96% of NMDP marrow donors. The average time of anesthesia is less than 2 hours. .
Donation: During the marrow donation, you will be lying on your stomach. While the donation varies slightly from hospital to hospital, generally, the doctors use special, hollow needles to withdraw liquid marrow (where blood-forming cells are made) from both sides of the back of the pelvic bone. The incisions are less than one-fourth inch long and do not require stitches. Recovery: Hospital staff will watch you closely until the anesthesia wears off, and continue to monitor your condition afterwards. Most donors go home the same day or the next morning. After you leave the hospital, we will contact you on a regular basis to ask about your physical condition and any side effects you are experiencing. Does donating marrow hurt? Are there side effects? Marrow donation is done under general or regional anesthesia so the donor experiences no pain during the collection procedure. Some donors said the experience was more painful than they expected; others said it was less painful. Some donors describe the pain as similar to achy hip bones or falling on their buttocks. Others say it feels more like a strained muscle in the back. The ache may last a few days to several weeks. Are there any risks to marrow donation? The risk of side effects of anesthesia during marrow donation is similar to that during other surgical procedures. Serious side effects of anesthesia are rare. Common side effects of general anesthesia include sore throat (caused by the breathing tube) or mild nausea and vomiting. Common side effects of regional anesthesia are a decrease in blood pressure and a headache after the procedure. We take all the necessary precautions to ensure the safety and well-being of the donor. To learn more, see Donor safety and support. Will donating marrow make me weak? The amount of marrow donated will not weaken your own body or immune system. The average amount of marrow and blood donated is about one quart, less if the patient is a baby or child. This is only a fraction of your total marrow. Most donors are back to their usual routine in a few days, and your marrow naturally replaces itself within four to six weeks. Where is the bone marrow donation done? Marrow donation is a surgical procedure that takes place in an operating room. The donation will be scheduled at a hospital that works with the NMDP. In some cases, the hospital may be near your home. In other cases, you may be asked to travel. Peripheral blood stem cell (PBSC) donation is a way to collect blood-forming cells for transplantation. The same blood-forming cells (sometimes called blood stem cells) that can be donated from the bone marrow are also found in the circulating (peripheral) blood. Before donation, a donor takes injections of a drug called filgrastim to move more blood-forming cells out of the marrow and into the bloodstream. Then the donor's blood is removed through a needle in one arm and passed through a machine that separates out the blood-forming cells. The remaining blood is returned to the donor through the other arm. This process is similar to donating plasma. Why is PBSC donation considered investigational? The National Marrow Donor Program (NMDP), which operates the Be The Match Registry, is studying PBSC donations and transplants under a clinical research study reported to the U.S. Food and Drug Administration (FDA). The study is investigating whether blood-forming cells from the peripheral blood can be used as effectively as blood-forming cells from bone marrow for unrelated donor transplantation. A clinical research study has a written set of instructions for how a donation will be carried out. It is an important scientific way to evaluate the effectiveness of the procedure for both donors and recipients. What is the PBSC donation process like? Donating PBSC involves two steps: receiving injections of filgrastim and making the donation. Receiving filgrastim injections: To move more blood-forming cells from your bone marrow to your bloodstream, you will receive filgrastim, a drug given by injection each day for five days before the donation. The first injection will be given at a donor center or medical clinic. You may receive injections on days two, three and four at your place of work, your home, at a donor center or at a medical clinic. On the fifth day, you will receive your final dose of filgrastim, and then donate your blood cells at the donor center or hospital outpatient unit. 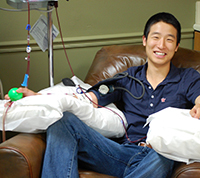 Donating the cells: PBSC donation is done through a process called apheresis, which is similar to donating plasma. During apheresis, a needle will be placed into each of your arms. Blood will be removed from a vein in one arm and passed through tubing into a blood cell separator machine. The machine collects blood-forming cells, platelets and some white blood cells. Plasma and red blood cells are returned to your body through the other arm. All the tubing used in the machine is sterile and is used only once for your donation. If only one donation is done, it may take up to eight hours. If two donations are done on separate days, each collection will take four to six hours. Donors may experience headaches or bone and muscle pain, similar to a cold or the flu, for several days before collection. These are side effects of the filgrastim injections that disappear shortly after donation. Other common side effects are nausea, trouble sleeping and tiredness. Less than one percent (0.6%) of donors experience serious side effects from filgrastim. The PBSC donation procedure can also have side effects. Some donors experience tingling around the mouth, fingers and toes and mild muscle cramps. This is caused by the anti-coagulant (blood thinner) used in the apheresis procedure. These symptoms are easily treated with calcium replacement or by slowing down the procedure. Other common side effects include bruising at the needle site, chills and a decrease in the blood platelet count. Are there risks to donating PBSC? Yes, however, fewer than 1% of PBSC donors experience a serious side effect from the donation process. PBSC donation may require placement of a central line if you do not have suitable arm veins. A central venous line is a sterile tube that is inserted into one of the larger veins — the femoral vein, internal jugular vein or subclavian vein. Based on our experience, 19% of women and 3% of men require central line placement. The risk of serious complications from use of a central line is small. A central line will be placed only with your consent after you have received information about the possible risks. Another potential risk is associated with filgrastim injections. Though filgrastim is commonly used to treat cancer patients, the use of filgrastim in healthy donors is fairly new. Therefore, no data are yet available about the long-term safety. We began using filgrastim to aid in transplants in the 1990s. Since then, no donors from the registry have reported any long-term complications from filgrastim injections. Where is the PBSC donation done? The PBSC donation procedure is done in a blood center or hospital outpatient clinic. Before the donation, you will receive five days of filgrastim injections. The first must be given at a donor center or medical clinic, and the fifth will be given at the location where you will undergo the donation procedure. The injections on days two through four may be given at your place of work, your home, at the donor center or a medical clinic. Will I get patient updates or meet my transplant recipient? However, each country has different rules about giving updates. If your recipient is at a transplant center in another country, you may never receive an update (or updates) on your recipient. During the first year after transplant, some centers allow anonymous communication between you and your recipient. Some centers allow direct contact between donors and recipients one or more years after the transplant, if both you and your recipient consent. Some centers do not allow you to have contact with your recipient at any time. What is the risk to the transplant recipient? While transplantation is a life-saving therapy, not all recipients survive. Sometimes a patient's body cannot withstand the pre-transplant chemotherapy and radiation. Sometimes health complications occur after the transplant. But for many recipients, a transplant is successful and their best or only option. Your gift gives them hope and a second chance at life.